I like coaching young people with less than 2 years of experience. With questions like “have I chosen the right environment” or “which next function would suit me”, you have come to the right place. I am a career coach with more than 25 years of business experience. Over the years I have noticed that people sometimes need not only a mentor but also a coach. Also people who have held a certain position for some time, would like to do something different but do not know exactly which direction I could support. Because I walk along on the work floor, I can observe situations directly and discuss them later in a work session. But I am also directly approachable if an employee needs it. Satisfied employees have become an even bigger asset for companies, considering the current personnel shortage. If you are interested in coaching support, please leave a message. PSLOGISTICS is sponsoring JCK ALTA in Amersfoort. ALTA is a tennis club that celebrates its 100th anniversary in 2019. How fantastic is it to support their young talent. This weekend and the coming week a tournament is being played on the beautiful clay tennis courts at ALTA in Amersfoort. 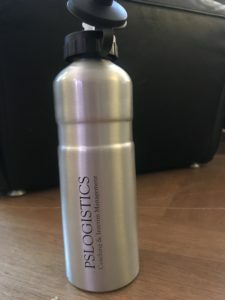 PSLOGISTICS sponsors with a beautiful water bottle – considering the warm weather very appropriate. We look forward to a challenging competition. It’s a beautiful picture in autumn especially in the morning with all the drops of water. It makes me think of all kinds of insects that tend to turn this time of the year. Most specifically spiders in all kinds of size and shape. Which brings me to what is close to my heart: supply chain as the spider in the web. What is the definition of a spider in the web? What do we catch within the supply chain? And with whom do we catch these “flies”? Do we have friend spiders to collaborate with? How does the spider control his web? How big is the web? 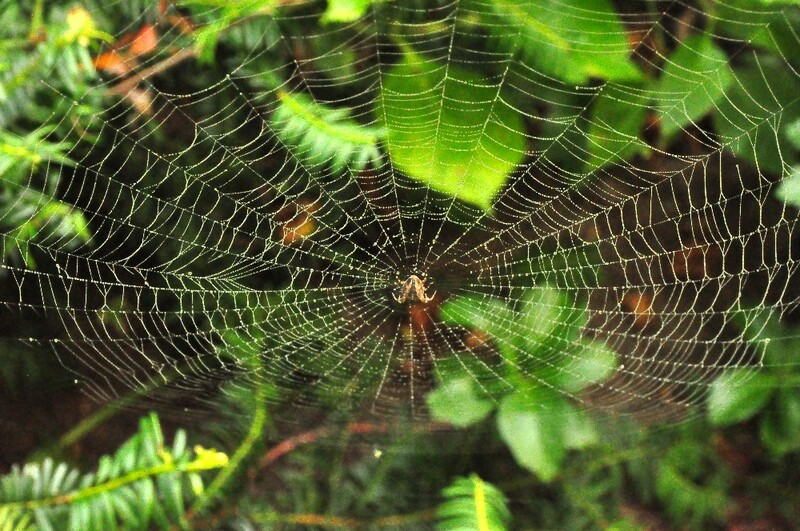 I hear often that the supply chain function is equal to a spider in a web. Are the supply chain people really in the center of the business universe? Do they integrate different roles within a company and make them perform better? Can they provide the sticking glue, like a web, to keep people focused on the issues that matters, and set the right priorities? Possibly… but what I think is that the supply chain is able to process and assess information from different angles. All relevant information is connected and gets a platform. This is relevant since the pharmaceutical supply chain is a pretty complex environment. Forgetting one simple element within the pharmaceutical supply chain, may have a major impact on availability of the medicine getting in time to the patient. I think it is quite exciting to watch a relay race…all participants ready for start, focused completely on handing over the baton and the goal is to finish as soon as possible! How many handovers can you define within the supply chain of pharmaceuticals? There are many hands like for instance quality, finance, marketing, registration, production, supply chain. Who can focus on this race and has the transparancy, helicopterview and the capability to do their utmost to get the medicine to the patient as quickly as possible. If you watched relay races you know where the tension is rising hughly……..exactly the handover point…..because if the baton drops..you and the team are losing big time….. It is exactly the same situation for the pharma supply chain, there are so many moments where we can drop the baton…so many desks and so many departments…what is important that we have full transparancy of the track of the race, the handover points where we can trip over, how quickly we can get up and continue our race…to make sure the baton will be at the finish as quickly as possible. I remember some years ago that we were having problems losing the baton all the time during product launching…how disturbing…patients are waiting for this new medicine..The following issues came up like how fast can we have it in the market, do we have the right forecast so manufacturing can make the right product and release in time, when do we expect market authorization or do we have a clock stop (do we still have questions to answer), is artwork approved in time or do we need some changes, did we inform our 3PL in time that a new product is coming, do we need specials training for warehouse staff, are all financial details transparent… a complex environment. If you need transparancy and supply chain support you can contact me! I started as a youngster with a pharmaceutical company, many years ago. At that time I was hired for a logistic job. In my mind however I wanted to become the Master of Marketing in Pharma land and my first personal goal was to get all kinds of marketing certificates (for the Dutch people I am referring to Nima A & B). Watching the people in marketing jobs every day made it very clear to me that the people in these profiles had a doctor or vet degree – which I did not have at the time. Pretty quickly I was offered a sales rep position. That would be a perfect start towards marketing, right? Unfortunately it was not in the region of my preference. So I chose to stay with my old job, pretty much secure, at the supply chain department. And in the mean time I discovered that I loved to be in the middle of all the processes ensuring our customers received our products in time at the right place and with the right quality. I realised that I fell in love with the pharmaceutical supply chain and that decision made my future and my career.